All of this could not be further from the truth. 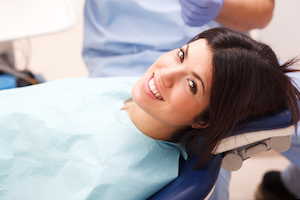 All of the dentists I’ve ever met seem to be compassionate individuals devoted to providing quality care with maximal comfort for their patients. Fortunately, modern dentistry can achieve this the vast majority of the time. But this was not always the case. Many years ago a trip to the dentist could be a painful affair. Many patients had bad childhood dental experiences, and despite all of our modern advances, the memories persist making treatment for them very difficult. From the time I graduated dental school I have always had an interest in the field of study the dental profession calls “Pain Management”. Yes, it is a field of study, because dentists do want to provide a pain free experience for everyone in their care. So you may ask why I am so interested in “Pain Management”? It’s because I am one of those millions of people who had bad childhood experiences at the dentist! And Because of that, I decided to devote my career to doing everything in my power to make sure it doesn’t happen to any of my patients. Sometimes despite my best efforts, there were some patients whom we had extreme difficulty treating or were unable to treat at all. What was available to help these folks? It turns out Sedation Dentistry was the answer. Next month I’ll detail how I discovered Sedation and how it has helped hundreds of my patients.